I recently discovered a new system called Aspire and as I talk to people about it they all want to know “What is Aspire?” They also want to know why it is sometimes called Digital Altitude. I will get into this and much more in this long review. I hope to help you become more knowledgeable about what it is and the different levels. I am going to tell you this is one of my longest posts ever. Most of my posts are between 750-2000 words, this one is closer to 9000 words, so please hang in there. There are actually a couple of reasons for this post being so long. One is I really like the program and the other is there really is so much information to share and I don’t want to short change you. Before I do that let me tell you a little story. I have worked online for a few years now and slowly built up my online income. It took a lot of blood, sweat, and tears to get where I am today. I am no expert nor do I pretend to be, but I am getting there. I first started out just floundering around for the first year, thinking like many people do when it comes to earning an income online. That is “If you build it, they will come”. So my first venture was a website about kitchen gadgets. I had no idea what I was doing. I bought a domain and published 10 articles and then waited, and waited. Oh, and I waited some more. Nothing seemed to be happening. Of course nothing was happening. The writing was not from my heart and it was very dry and stale. The site actually looked halfway nice but there was really nothing on it. Still not knowing what I was doing I put up a twitter account and then linked several RSS feeds into my site. Oh boy, look at that I started getting some traffic. Little did I know this was a big NO, NO. Well as soon as the traffic started coming into the site it started falling. You know what though, I was determined to make some money online so I continued to research on what would work for me. I stumbled across the Wealthy Affiliate program one night when I couldn’t sleep. I started the week-long trial and found myself engrossed in the program. I quickly learned all of the things that I was doing wrong. I stayed away from the next shiny object and actually got a sale within the first 30 days. This website here is a result of my initial work with them. I continue to work on the program and learn more every day. Since that fateful day I have created more than one successful website. I love doing it and enjoy building something that people come to and enjoy reading. I really like helping people succeed and discover their passion. I actually take that into a big consideration when people reach out to me. Fast forward to about a month ago. One program I was working with, Revshare Lifestyle, let me know about Aspire. I started to do some research on it. Aspire is owned by Digital Altitude. Aspire is just one of the products in their many products available. What first drew me to them was the fact that you could get huge commissions. I was always happy making $10 to $30 a sale on a recurring basis. Digital Altitude showed me for the same amount of work I could easily make $17 to $57 a sale on a recurring basis as well as larger one time commissions with their products. In fact, I could make a $12,000+ commission on just one sale! My mind was blown and I just had to see what it was all about. Well that brings me to today. I have made a few videos and have happily made some money with Digital Altitude. They have taken my learning and exploded it. All of that being said, let me get into my actual review of Digital Altitude. Price: Varies depending on product. Starts at $1 trial. Michael Force is the owner and creator of Digital Altitude. He has been a big name in internet marketing for a long time. By a long time, I mean upwards of 15 years. He built the system so that anyone could be successful online. The idea was to build the program like other successful franchises. Why would he do that? Well the answer is simple. 85% of franchises succeed where only 5% of businesses succeed. Digital Altitude has several products to choose. There are actually 48 products in total and with those, there are 60 potential income streams. Out of those income streams there are actually 19 of them that are residual. This is a business in a box. I really hate that term but it is one that works for this system. Many people think a business in a box means they don’t need to do any work. Actually you still need to work. When you first sign up you get a personal coach. This is not a virtual coach, but instead a real person you can, and must reach out to and talk with in order to move on in the system. This is one of the best features in the program, but I will talk more on this in a bit. Aspire Business System has two things to consider; the level and the rank. There are three levels within the Digital Altitude program and there are five ranks. The levels within Aspire are the Aspire Walker, Aspire Hiker, and The Aspire Climber. Each has their own benefit and costs associated with them on a monthly basis. This is the entry level and the level that you start out at with the 14-day trial for $1.00. After you complete the 14-day trial the cost is $37 per month. The benefits of this level is a 40% commission over one tier. It allows you access to the member’s area and the startup training videos and weekly training calls. It also gives you a coach so even if you are a complete beginner you will be able to quickly learn how to use the system. This is the middle level within the program. The cost is $67 per month on a recurring basis. The benefits of this level include 50% commission, 2 tiers of payout, access to the member’s area, start up training videos, weekly training calls, live hiker training, sales assistance, as well as other tools and resources. If you don’t want to make calls and close the sales yourself then this is the minimum level, you want to be at. The sales assistance will close the sales for you, so all you need to do is drive the traffic to them. I love this feature myself. This is the highest level of the Digital Altitude program that they have. This is where I am currently positioned. There are many reasons why but I will try to stick to the same format as above. The cost is $127 per month on a recurring basis. The benefits of this level include 60% commission over three tiers of payout, access to the member’s area, startup training videos, weekly training calls, live climber training, additional sales funnels, sales assistance, not to mention the done-for-you solutions, traffic solutions to suit your needs, and of course many additional tools and resources to help you succeed. The reason I really chose this level is the 60% commissions over 3 tiers of payout. In my mind this is HUGE! This means for every person I get under me that sells the product I get additional income with no additional work on my end. If you do the math you only need a few sales to break even on this level, not to mention you get all of those additional streams of income from other people’s efforts. That just brings a smile to my face. There are a total of 6 rankings within Digital Altitude. The ranks are Aspire, Base, Rise, Ascend, Peak and Apex. Each one has their own benefits. It is also important to note that if you don’t own the rank, you cannot sell the rank. Well actually you can sell it but you won’t get credit for it. That credit will go to the first person in your up line that has that rank. Now that I gave you a quick view of the levels, now let’s take a closer look at the ranks and what you get in each one of them. At the time of writing this review I am currently a Climber level and at Rise rank. My plan is to reinvest 80% of my earnings back into the business and purchase the additional levels as those funds allow. That is just my strategy. One more thing to keep in mind is that if you purchase Rise, you get Base for free. This is not the case with the other levels. Aspire is the first course you get with your subscription. It really gets you going down the right path. Both Base and Rise are mastery courses. Ascend is an all-inclusive 3-day workshop for two at a resort. Peak is an all-inclusive 5-day workshop for two at a resort. Apex is a 7-day all-inclusive retreat for two that has some of the top business minds as speakers. There are 4 sections in the program each with its corresponding topics to get you started on success with your online journey. The topics include startup, setup, scale up and training. These are all driven with your personal coach to help guide you through each step. The first section startup starts to build the foundation of what you need to know to succeed. It includes 6 steps. Each of these steps include a video presentation, a checklist, a step overview, and a worksheet. The missing ingredient 99% of businesses forget about. Rewiring your thinking to a millionaire mindset. The second section is about setting it all up. There are 6 more steps in this section. SEO, it takes time but once its done it is virtually free. That is the basics about Aspire part of the program. It is included in your membership fees. This portion is also where your coaches are assigned to you. They do have a $1 trial available for this portion of the education system. Give it a try for 14 days and see if it is right for you. Okay so the question many people ask is what do I get for the Base price? The course contains 3 sections and 12 modules. Each section is carefully laid out to make sure that you start your business on the right foot. Don’t get overwhelmed with any of this. These courses are all self-paced. They have videos, PDF, worksheets and audio files to download to make things easier. The first module discusses how to prepare, develop and understand your business goals. This can be confusing especially if you are new to building your own business. This helps clear the air and gets you started in the right direction. The second module focuses on picking your legal entity for your business, accounting, banking and planning into perspective. I personally have some experience with this, but it was a great refresher. The great thing is, you don’t need your master’s degree to understand it. It is put into simple and easy to understand language. The third module discusses designing and building a brand that captivates while at the same time making selling easier. This is one of those modules to really get you thinking outside the box. It helps you to differentiate yourself from your competition. The fourth and final module in the first section discusses how to create a great online presence. This is not limited to a website or blog but also includes social media. All of these things put together make a great foundation for your new business. The first module is all about, what else, launching your new business in a way that people know who you are instantly and you are ready to help. It also focuses on your customers and what you can do to keep them coming. The next module is all about social media. How to put it all together and get your message to the people who need to hear. In other words, how to reach your target customers via social media. The third module in this section has to do with Analytics. It focuses on the 5 main things you should and shouldn’t be doing when looking at the reports and what tools to use. The fourth and final thing in this section focuses on the must do thing when you are actually launching your business. You don’t want to miss this or you could make a big mistake that would be difficult to recover from. Can you guess what the third and final section of the Base course is about? Well let’s see we started with planning, then launch. The next logical step would be Growth. So yes growth is the final section in the Base part of Digital Altitude. The first module in this section is all about running your business for long term profits. It teaches you how to be a lean, mean, green making machine. Okay well it doesn’t say that but you get the idea. It is all about optimization for the business and bootstrapping to make it all be successful in the long run. The second module is all about captivation. What do I mean by that? I mean teaching you how to captivate your audience so you can have a customer for life, not just a hit and run customer. After all, 80% of all revenues come from 20% of all customers. The third module is about your CULT! Just making sure you are still reading. Yes, I said cult they talk about how to build a customer base that follows you like you are a cult leader. So as your business grows and changes so too will your customers. Why? Because they love you! The fourth module, or twelfth overall module, is all bout Automation. I don’t know about you, but the reason I started working online was so that I could have more free time to do the things I wanted to do, while earning money doing something I love. Well this section teaches you all about automation and how to free up that valuable time. Okay I told you this would be an in depth discussion about Digital Altitude and the Aspire system. I am trying not to miss anything at all in the process. One of the great things about these courses is that they are not only good for online businesses but can truly help anyone who has their own business or the desire to start their own business. Now you are probably wondering how much does base cost? There is a one-time cost of $597 or if you purchase Rise it is free. Well since I mentioned Rise a few times, including the fact that if you buy Rise you get Base free, I figured it was a good time to talk about Rise now. As I just said, if you buy Rise then you get Base free. Keep that in mind as it is more expensive then Base. So besides the Base package as outlined above, what do you get for the price? The Rise package comes with 5 sections with 19 modules. This course is named the Digital Marketing Mastery course, and for good reason. Once again the package includes videos, worksheets, summaries, and audio guides so you may utilize what works best for you. Allow me to outline the course for you now in all that it contains. The first section is called Commit. Learning about marketing can be tricky and even seem daunting to those who don’t have any experience at it. This entire section is geared to unravel the mysteries and put you on the right track. The first module is all about making conscious decisions to become successful in the online marketing world in today’s technology driven society. It really gets you in the right mindset to be able to succeed. The second module is all about shifting your mindset. As the old saying goes “what the mind can conceive it can achieve”. This module is taking the right steps into looking at things the right way so you can succeed and almost guarantee your success. The third module will get your creative juices flowing by teaching you ways to get that illusive irrational market that you want to drive crazy sales. That buying frenzy we all have heard about and yet few of us ever achieve. Well this module teaches you just that. The final module in this section will teach you all about the 80/20 rule. This rule is used in all kinds of ways including, but not limited to, 80% of your problems come from 20% of your customers. Really the focus of this section is all about how to find the 20% of those customers that will drive 80% of your income! The second section is called Customer. This section aims to help you understand your market while providing added value and solutions to your potential customer’s problems. After all we all want to move from the pain of a problem to solving the problem. If you can do that your customers will come running. Well here is where you learn how to trigger those things in your customer to drive sales. The first module here is all about the psychology of emotional triggers. Find out how to find them for your customer. If you know what their hot buttons are and how you can use them to your advantage you will be many steps ahead of your competition. The second module under the Customer section is about getting the perfect customer. Wouldn’t it be great if you could get the perfect customer most of the time? Well this is where you learn just how to do that. The third module is all about lowering your costs. More specifically lowering your customer acquisition costs. There are many ways to do this but you really want to be a direct response marketer. The last module in the section is all about Education. What??? Yes I said education. What I mean by that is you need to educate people. Today people are looking for answers to any number of things. This section goes into how you can market through education. The third of the five sections is about Creation. That is why they call it Create. This is about making your personal message and branding. You will hear branding a lot throughout this entire program not even just this course. Why? Because your brand can be a powerful thing. Think of top end brands Apple, Samsung, Windows, McDonalds and many more. They all are easily recognizable and draw huge amounts of traffic because of it. The first module is about Branding. Building and developing a personal brand that will stick in the memory of your customers to drive them back to you again and again. That is what this is all about. The second module they call Want; I personally think it is more about desire. This section is all about getting into your customer’s mind and creating a desire for them to do what you want to do. How do you do that? Well you will have to get it to see. The third module is about tiered product creation. One of the things I really like about Digital Altitude is that it is all about the tiered system. They bang this into your head, over and over and over. That is okay because in this module they give you 7 steps to create and sequence your product. The last module in the section is all about a “tripwire”. What do I mean by this, well it is about a front end product that drives your customers to move into your higher priced products. Why? Because they love what you have already given them. The forth section of the Rise Marketing Mastery Course is about Words. Unlocking the secrets to being a great writer and be able to have your customers begging for more. In my mind I was never a great wordsmith. Some people might even find me as abrasive at times. This section was a real help to me without me loosing who I was. The first module is all about conversion hacks. Wouldn’t you love to be able to save time, money and effort. This is a key to really explode your business. Your headlines drive people, make sure you are using proper ones to create more traffic to your offers. The second module here is about Credibility and how to build it. This is a must. I once “heard people by people not products.” What this means is two people can be selling the same product but one is more credible then the next. Guess who is going to get the sale? That is right the person who is more credible. The third module is about Copy. That dreaded word we all hate when we first start out. Not only does this section get into what copy is, but how to write compelling copy that can sell anything. The final module in this section is about marketing messages. It teaches you how to write to your perfect customer so that they will respond to you the way you want them to respond. How powerful is that? The fifth and final section of the Rise Course is all about Partners. This Section has three modules in it and covers how to leverage others in Joint ventures and become an authority figure in your niche. The first module is about creating ads that get response. Driving traffic is what any business is about whether it is a brick and motor business or an online business. Creating the right kind of ads can make or break you. The second module is about partnerships. This module focuses on partnering with others to promote your products or services. Sounds like affiliate marketing, Ops maybe I said too much! The nineteenth, or final module is about getting referrals. I don’t just mean getting referrals but getting more referrals in just three simple to follow steps. Simple is the key here. Well that wraps up the Rise program, but wait I guess there are some other things I need to mention. Like, the cost of the program. I have to remind you that if you purchase Rise before you buy Base, then Base is included with it. That being said the price of Rise is a one-time cost of $1997. They also have other payment options if this is something you are considering, you coach can talk to you about those options. Don’t get overwhelmed with all the options so far, you can always start for just $1 for 14 days to see if it is right for you! The Ascend, Peak, and Apex are all workshops of varying lengths. They are all at very nice resorts and have some of the best speakers at each of the events to help elevate your business. Okay Ascend is a three-day all-inclusive package for two. This year 2016 they are talking about the event being in Las Vegas. The first day is all about finding and scaling traffic as well as perfecting your funnel strategies. Traffic, Traffic, Traffic…What are the top 5 traffic sources and how to scale those sources. When you can find highly profitable traffic and scale it, what do you think will happen to your business? You guessed it. Your business will explode! Scale, Scale, Scale…In this portion you will learn how to scale your traffic. 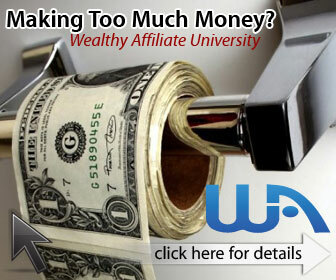 Learning the 6 main strategies in order to move your income up quickly and efficiently. We have all been frustrated before with slow growth, well this can change that! Conversions is the next topic at hand. This section they teach you how most 7 figure earns use hacks to make it to their level. They give you those hacks so you can use them today! Learn to create the highest converting funnels by using these formulas. This is really important. Many people make mistakes while creating their sales funnel. This helps you avoid those mistakes. The second day is all about branding and your personal story. Through proper branding you will take your business to the next level. I have said it before and will say it again. People don’t buy products they buy people. Meaning your personal brand has everything to do with you and whether a person will buy from you or not. The Power of the Brand. This is where you learn about how powerful having your own personal brand truly is. A Personal Brand will lead you to crushing your competition and increase your conversions to amazing levels. Your Story is important. Just as important as your story is the way in which you tell your story. In this portion of the program you learn how to tell your story so that your authenticity shines through. You are a Guru too! You have more experience and knowledge than you think you do. Most people think they don’t know enough to be a guru. Guess what most people are wrong. This will show you how to leverage your experience to create value to your customer. Video killed the radio star. We all have heard that saying before, but what about video and how it can drive massive amounts of traffic. Learn how to create a customer connection though video. YouTube is now the number two most used site on the internet. Learn to leverage it! The third day of course brings everything together in a nice package while at the same time not just rehashing the same information. Instead, it focuses on building your team through outsourcing to create content and increase conversions. This allows you to make better use of your time. Learn how to maximize your return on your investment into your company by using analytics. Many people just look at the pretty numbers and are not sure what to do with them. Well learn exactly what to do with them and how to use them to maximize your profits! High Converting Content. You know making content always seems like an issue to many new businesses online. Learn how to pump out amazing content that both gets shared and converts very well. All of this done on autopilot. Work smarter not harder. Outsourcing is a key to giving yourself the freedom to do the things you want to do and need to do. This portions goal is to make sure you make the most of your time and resources by outsourcing those mundane tasks. Your Team is an important part of your business. Learn how to build a successful team to create more while at the same time having low attrition level. Attrition can kill a business; this will help you reduce it! This gives you a better understanding of what the Ascend workshop is about. These workshops are held once a year. Again, the talk about the workshop is that it will happen in Las Vegas this year, sometime in October, 2016. The cost is $9997 this is an all-inclusive cost for two people. I am not saying you need to buy this right away, I did not. I am actually building up to this workshop though. You can start the process for just $1 to see if it is something that really fits you. I think you will be happy you did. Well almost done with the overview of the basic program, then we will get more into my thoughts about the program. For now, let’s talk about Peak and what it is. Peak is a 5-day workshop in a beautiful resort such as one in the Caribbean. I am not saying that is where it is this year, I have not heard where it is this year yet. This workshop is for two and focuses on your business including scaling, joint ventures, sustainability, efficiency, profitability, and more. On the first day you will focus on scaling and how to take your business from point A to point B in the shortest amount of time. Of course point A and B is all about your goals. Scaling like a boss. In this part of the workshop they will teach you how to take your business to the 7 and 8 figure levels of revenue. Just image what that could do for your lifestyle. Better yet really feel it not just imagine. Joint ventures, or JVs, are a great way to leverage and expand your reach. Learn how to create lasting partnerships to make the most out of your business. Build those relationships that will take you to the next level! Value adding. A business is just white noise unless it truly ads value. Adding value to your customers through content, products, and services is what will move you to the next level. Learn how to add huge values to your base. Talent is key to a successful business. You need to know where, how and when to find the best talent out there. How to hire them and keep them. This is what this part of the workshop focusses on. The second day focuses on longevity and finances. The reality is you want your business to grow for a long time. Build it to achieve your dreams and create new dreams. How do you do this? You do it through a solid financial foundation. It is only through this solid financial foundation that you will create longevity for your business. Accounting is very important to any business. Learn how to manage your accounting the right way to ensure you company’s future. Don’t think you can do it all on your own, especially if you are at the point where you are making 6, 7, or even 8 figures! Sustainable Organizations are hard to come by, but with careful planning you can achieve the freedom you desire. This section helps you build that freedom while making the organization sustainable. Motivation and Teamwork. Okay so you have built your business to a point that your team is massive. How do you keep them motivated and keep the wheels turning? Learn some of the little known secrets from the leaders in the industry to keep your team motivated. Protect yourself with a legal entity. This section of the peak workshop focuses on how to set up the legal entity to protect your assets. When you get to this level with your business you really don’t want to risk your personal assets. The third day is all about sales. You need to have sales or you’re just a name waving in the breeze. So you want to keep those sales increasing so your organization can grow and be profitable in the long term. This is one way a digital business is not different than a brick and motor business. Growth Strategies. Learn the 7 best growth strategies that are working today. Many growth strategies are not evergreen, so make the most of the right ones. By doing so you will maximize your LCV. You have seen presentations before. Small ones, big ones, it really doesn’t matter. The question is how do you create a presentation that converts into sales. Really you want one the drives sales. This is what is covered here. One goal of any business is to create a customer for life. If you can do that your Cost per acquisition doesn’t matter as much. You might lose money on the front end sale but as you progress you actually earn more money than you could imaging. Discover the 4 things you must do to create a customer for life. Influence and how powerful it can be. Learn the top 7 strategies to become a leader and major influencer in your market. Driving a marketplace really takes you to the next level. Learn how at this workshop program. Efficiency is what the fourth day of the event is all about. Taking your business to the next level to maximize sales, conversions and retention is what the topic of the day is. By increasing the speed of the sales you will of course increase the growth of your business. Become a time management master. This will increase your productivity and make you the ruler of your domain allowing you to have everything you want. Learn the 9 tricks that all successful people use to properly manage their time and be more productive. Efficiency is a key to a great business. If you can maximize the speed of your business, you can do much more than your competition and out maneuver them. Find out exactly how to create and maximize your business’s efficiency. Automation through technology. You can actually automate 80% of your business though just 3 technologies. Discover those technologies and how to use them. Why do 90% of all business owners quit their jobs and start their own business? Most of them crave freedom. Many times they find themselves owned by the business instead of them owning the business. Learn how to put systems in place to get that freedom you desire. The last day of the retreat is all about strategies. Learn how to avoid mistakes, build core strategies and hear real stories of trials and errors. By doing so you will a be able to avoid those mistakes yourself. Capital is the lifeblood of any business. This first topic is about learning how to raise the capital you need. There are 3 tactics you can utilize to raise capital instantly and you will learn them here. Hand in hand with Capital comes cash flow. Being able to create cash flow quickly and easily with income streams is the point of this lesson. Learn how to do it the right way and what to avoid. You can always make mistakes and you will do so no matter what they tell you. But learn how to avoid the 5 biggest financial mistakes. This will keep you on the fast track to success. Real stories from real 8 figure earners. Learn how they did it, where they came from and where they are now. Very inspirational and we can all use the push in the right direction sometime. That gives you a brief overview of the Peak business retreat. This is a 5-day workshop for two and the price is $16,997. I believe it is a great value, but not for everyone. I am planning on attending this in the future. Not this year but I have set a goal to go to next year’s retreat! Well, thank you so much for hanging in there this far with me. Again I wanted this to be a comprehensive review of the entire program. I will now talk about the Apex workshop. The Apex workshop is a 7-day retreat all-inclusive package for 2. Just like the other 2 workshops it is held once a year. This one is held at an exotic location such as Santorini. So if you choose to buy this one pack your bags and be prepared to learn a lot of great things about building wealth. Yep I said it, this retreat is all about building wealth. This retreat kicks off with day one and about creating the freedom with your business. Showing you how to set it up, manage it, and more all for the benefit of being able to do what you want to do when you want to do it. Financial Freedom. Learn the 5 steps to become financially free, just like the rich do it. I think this is the dream of so many. This freedom is what drives most entrepreneurs. Creating additional incomes is just one way to achieve financial freedom. Learn little known tricks to create more and very successful avenues for multiple income streams. Along with income streams we need to talk about cash flow. Increase those all-important streams of cash flow. This helps the bottom line. Retirement income is something that puzzles most Americans. Where will the cash come from how will they live like they do today. Learn 5 strategies to secure your income for life. Investment is the word for the day. Learn how to invest your money and become a virtual lion with your investments. Doesn’t matter what kind of market it is, use your money to make more money. We always hear about the rich and how they seem to just be getting richer. Learn their secrets that they use to do just that. Many people don’t know about them but you will learn about them here on this day. Use other people’s money to leverage your investments. Better known as OPM. You can become a master of OPM investments with the tips given here. Don’t become overwhelmed with investing instead take control over your financial future. Become the master of your own destiny. Make your own destiny through these 6 tips to control on your financial future. Beat the Street! Learn how you can beat Wall Street at their own game. Wall Street is where the money is at. Willie Sutton (a famous American bank robber) was asked “Why do you rob banks?” to which he replied, “Its where the money is.” Well today the money is at Wall Street. The third day is all about creating long term wealth that you will be able to continue to grow for decades to come. It is all about creating a legacy for your family. Financial IQ is everything when you are trying to create wealth. Learn how to boost it with 3 steps. Learn to how to leverage and how to truly use leverage in this section. The rich tend to invest differently than the middle class or poor. Learn their secrets to investing like the rich. To become truly wealthy, it is not a one and done thing, learn how to create a long term strategy. There are 9 strategies the wealthy use to create this wealth. Learn them here. Learning how to think like the wealthy is the topic for the fourth day. Believe it or not the wealthy truly do think differently than most people. Learn how to think like them to expand your wealth. Play the game of wealth and win. Learn the way the wealthy think and how you can change your mindset to think just like them. Here is about the “Financial Thermostat”. Almost 99% of all people are off the chart with their own personal financial thermostat. Learn how to keep your money thermostat in check. Your personal relationship with money. Each person has their own relationship with money. Discover how your relationship with money attracts it to you or repels it from you. The fifth day focuses on building a solid foundation to create wealth. They get into the “nuts and bolts” of things. So you can really start out on the right foot. If you want to barrow money, you have to have great credit. So how do you create a better credit score. Learn about 7 ways to make your credit score better and live the life you want. Making your own bank. Creating a bank is just one of the little known strategies the rich have used for ages. Learn how to do it the right way. Taxes and Death are the only guarantees in life. Well, learn how to make a tax free retirement. An IRA can give you a long term advantage. Most of the super, or ultra-rich use IRAs to create this advantage. Legacy and legal protection is what the sixth day is all about. Learning how to protect yourself from profit poachers and establishing your legacy. Asset Protection. Four main strategies to protract your assets and your portfolio. Build that portfolio like a pro! Legal tax strategies. As I said earlier the rich think differently than others. Learn what tax strategies they utilize to protect their assets. Learning truly how to manage risk and what tactics to use. Manage your risk just like the rich with these tactics. Annuities can change your life. Learn how to choose which annuity is the best fit for your so that you can enjoy life to the fullest. The final day of the Apex retreat you will learn all about real estate and how to properly leverage it. This will allow you not only to become wealthy but preserve a legacy for generations to come. There used to be a loan called a NINJA loan, it stood for No Income No Job Application loan. This meant you could buy real estate with no money and no job. Well that time has passed but here you can learn how to find markets and buy houses with no money down. Learn how to buy at wholesale and rehab to boost your profits! What is this all about by showing up. The final lesson is about tax liens and how to leverage them to make even more money. Tax liens can be lucrative and this gives you the strategies you need to succeed. Well that about wraps up the core packages for Digital Altitude. The Apex workshop is a 7-day all-inclusive workshop for 2. The cost is not for the faint of heart but well worth it at $27,997. All of that being said this is not the end of all that Digital Altitude has to offer. There are a few other products and services that Digital Altitude offers. Those have to deal with traffic, social media, and website development. These can be very useful to a person as they build up their business. The traffic portion is as simple as it sounds. They have a traffic package system that has multiple tiers within it. You purchase the traffic package that suits you and they drive traffic to your offer for you. Kind of like a solo ad, but you don’t need to worry about the source. None of this is required to purchase to be successful. The Social Media add on is really all about branding. Building your brand. There are several levels of packages here as well, just like the traffic section. Again none of this is required or needed to be successful I am just letting you know that it is available. Here they have everything from having a photo shoot to complete done for you social media system. Think plug and play. The last service they have available is website development. Again just like the other two sections there are several levels available. It can be as simple as design and layout of the website, all the way to complete done for you solutions that you just need to point them in the direction that you want to head and they do everything from writing to sourcing photos. This again is not needed or required to be successful, but instead just another thing that is available. Okay now that I have really just giving you the complete version of the program, I want to thank you for sticking with me this long. Now the real fun begins and that is what I like about Aspire, what I don’t like about it and all that stuff. There are actually several things I really like about this program. The first thing and one of the most important things I like about it is the coach. Oh remember that, I mentioned it in the beginning of the post. The coaches are great. I have 3 different coaches at this point and am very happy with each one of them. Each coach I have talked to along the way. This makes all the information very digestible to the average person. You can talk to them on the phone, Skype, email, Facebook and more. It really is great to be able to reach out to another actual person to help you when you have questions. This is not an option. You must have a coach with the system. This is a premium system and you pay for the coach. The coach makes money from also helping you with your sales. Remember I mentioned that one too. You can choose to close your own sales or have a coach handle them for you. If you chose to have your coach handle the sales for you then they will take a 20% commission from the sale. These are professionals and they are not high pressure sales. Take advantage of your coach, you can always switch later when you have built your own personal base up. The way the system is put together is very easy to understand and follow. You watch videos, read summaries of the videos, use checklists, and complete easy worksheets. This is to ensure you have a thorough understanding of each section as you move through the system. Then you discuss what you learned with your coach and they unlock more sections to you. Around and around the process goes, but you learn things very quickly and make good progress while learning. This is a true one place educational system. As you see from above there are many things for all levels of knowledge and it allows you to seamlessly move from one level to the next while building your business. Not only building your business but helping you do it the right way and avoid the pitfalls along the way. I am actually in the DA leadership group and discuss with other leaders, including Michael Force about changes that are happening. The fact that this is a tiered product system really makes it a worthwhile proposition. Think about all the major products out there and the companies that supply them. Most of them work with tiered products. Apple as I have mentioned uses a tiered product system. Staring with the I-pod to the I-phone and so on and so forth. All the way up to their desktop model. I am not a fan of apple products myself. Not that I don’t think they are good, but I just always like the PC products. I actually do think they are great products but the point of mentioning all of this is about the tiered product system. It allows you to get a customer for life if the products are good. In this case the products are great. I could go on and on about big plusses on the system, including the done for you systems and more. This is one of the best converting systems I have ever seen. The truth is I do want to get into some things I don’t like about the system as there are some of those as well. This wouldn’t be a complete guide if I didn’t talk about those. Okay there are really not that many bad things about the system, but there are a few. The first thing I don’t like is the sheer volume of information. It can be daunting and overwhelming. Sometimes the program speaks in general terms, but both of these things are easily overcome but talking with your coaches or sponsor. I actually have my Facebook info and Skype info available on my Digital Altitude profile. So if you are under me you can contact me directly and I can help you out of these parts. I am perfectly happy with the monthly fees that are associated with the different levels. As I stated that I am a Climber. So I pay $127 per month for access to the system. I know you are going to ask okay then why are you mentioning this under the bad part. Well if you are going to promote DA you also need to pay a monthly fee of $17 per month. Not a big deal but it is a little annoying that you need to pay this fee on top of the member fee. The good news is it is easily covered when you start driving traffic and getting sales. The last thing I don’t like is the affiliate lock program. What is this? Well if you don’t have a product when you get a new lead, and that lead purchases that product, you get passed up to the next up line person. So if you have a lead that is in the system before you buy Rise, then you buy Rise and that person buys Rise, they still go to your up line not to you. In my mind you should get the sale if you own the product before they do. I understand they want people to sell product that they own. If you have Rise prior to them becoming a lead under you, then you get the commission for the Rise sale. This remains true for all levels of the program. This is why I suggest to at least purchase Rise to get the most out of the system. They have customer service reps available 24/7- 365 days a year. They are available on live chat, phone calls and more. They are very responsive in handling your technical issues. I had one simple issue when I first purchased Rise as it was not showing up. I sent them a quick message and they explained it can take up to 24 hours to show on the system but the lock is done from the time stamp on the purchase, not the website update. Digital Altitude is for anyone who really wants to make a real online business. It is for anyone of any level. They speak to the beginner without making the expert feel like they are wasting their time. Aspire Business program is really a well put together system for a real entrepreneur. Allowing you to build a business the right way. The costs can be expensive for those who are just starting out. IT IS NOT A GET RICH SCHEME THAT REQUIRES NO EFFORT! You have to be willing to work and work hard to have a successful business. If you are not ready to work at business, then you are not ready to be an entrepreneur. If you are ready to drop all of your conceptions of how to build an online business, then you are ready for Digital Altitude. This is not for a person who wants to dabble. Is Digital Altitude a Scam or Legit? If you made it this far, Thank You for taking the time to read this. I hope you understand and appreciate all that I have tried to do here. I started out telling you a little bit about me and how I got to where I am at then I completely outlined the entire Aspire Business System. Given some pros and cons about the system. Explained who the system is actually for and finally will discuss my closing thoughts. This is one INCREDIBLE program. I have never seen anything like it in the past. This is not for the hobbyist, but instead for the person who is really prepared to make a real effort to build an online program. It is a newer program so not many have heard about it yet. It is less than a year old, but don’t fear. It is not going anywhere as it is backed by millions of dollars. The level of coaching and guidance is unparalleled. There is nothing like having a personal coach and great sponsor to help you every step of the way to help ensure your success. I know a personal coach alone can cost you upwards of $5000 or more. I wish I could say they have a try before you buy section. But they don’t. The best they have is a $1 14-day trial. Which is really the next best thing. Once you join, if you look at your sponsor and it is me, then you will see my Facebook id as well as my Skype. I that way I can help you every step of the way as well as your coach. I am not joking when I say I want to help you succeed. I hope you enjoyed my longest post to date. It was a massive undertaking but I wanted to make sure you had a full picture of the system. This is really a great system to give a try it is in my top two recommendations now. Why two? The reason is different people have different needs. This program is really for the person who wants to be a pro, not for the person who is just “giving it a try”. So please join me and I will help you succeed. If you are more of a hobbyist looking to earn some extra money online and see what is even possible, I would suggest taking a look at my other top recommendation, Wealthy Affiliate. You can learn a lot here, after all it is where I started to be successful online. As always please leave any comment, questions or personal experiences below. I look forward to hearing from my readers. Thanks again for taking the time to read this. Please share and like the post! When you buy something from this website, I may receive an affiliate commission. These are my opinions and are not representative of the companies that create these products. My reviews are based on my personal, own experiences and research. I never recommend poor quality products, or create false reviews to make sales. It is my intention to explain product so you can make an informed decision on which ones suit your needs best. Thanks for the comment and I am glad you found the information useful. Please let me know if there is anything I can help you with or if you have any questions. interesting, never heard of digital altitude, but it seems pretty cool! It’s pretty sweet that they let you try it out for only $1! The system seems to have a cool theme to it too about hiking the mountains and all that. What Im confused about, and maybe you mentioned it ( i skimmed through some because of its length), but what is the actual product that it is selling? Thank you for the comment. Sorry this is one of my longest posts to date, over 9000 words. The product, in short, is a digital education system for building an online business. Please let me know if you have any further questions. Wow, this review of Aspire is really in-depth! This program really has a lot of detail to it, everything from levels and the support that’s provided throughout the training. I imagine that you’re doing pretty well with this program. How long do you think is a good time to spend at each stage? Thanks for the comment. Some people go all in right from the start. I personally am building each one of my levels up to pay for the next level. The reality is each person i different. Please let me know if there is anything else I can help you with. This was a great read! Plus i found this very easy to follow. I knew nothing bbout Aspire and i love finding about new ways to make legit money. I will continue to follow your posts. Thanks for this article! Thanks for the comment and I am happy I was able to help you out. Please let me know if there is anything else I can help you with in the future. I love this side social sharing button, just shared a post from this page : the-ultimate-behind-the-scenes-guide-to-digital-altitude-and-review to my G+ and it worked very well, hope you get lot more share button pressed from people visiting your site. This picture loading system when the site is being scrolled down is a great future. Sign up pop up window is nicely made and does not come to quick but could be slightly later in my opinion. This also is very good product as I can see, interesting. Thanks for the comment. Please let me know if there is anything else I can help you with. Do you have to have your own website to start off with Digital Altitude? Can you make money the first day with the $1 trial if you work hard enough? Thanks for the question. No you dont need to have a website. If you know how to drive traffic you can do it from day one. That being said, I would position yourself first because you could lose a lot of potential funds. I positioned myself at Rise, to make sure that I could get the bulk of the people coming through, but it is completely up to you. Kwin again, just wanted to let you know that I tried the $1 trial and liked what I saw. It’s something that I saw myself staying in but wasn’t able to. When I spoke with my coach, he wanted me to upgrade to Rise but I didn’t have the funds at the time. I thought I was able to stay within the $37 membership and scale my way up with driving traffic then upgrade from there? This system really could be a life changer for me. Thank you for the comment. Sorry it took so long for me to respond to you, I was traveling and spending time with my family. Yes you can scale up with the $37 membership, but you would be missing out on a lot of commission. I understand many people cannot afford Rise. You need to keep in mind though if you bring someone in that buys Rise, and you are not a Rise member, then you pass up that sale and it goes to the next sponsor upline. Just something to keep in mind. Thank you for your clarification. Any other business opportunity you recommend while saving up for Rise in the future? I am actually trying a couple of martix programs right now to see how they work out. I dont want to mention them on this forum until I feel more confident they will work for people. Please send me an email at Marc@EarnExtraMoneyHome.com or connect with me on Facebook, and I will talk to you more in depth. I would like to know more about your experience level so I can help you get into something that you can become successful. I will happily coach you through to help you succeed. What is the product you make commission on? Is it just the training as to how to build an online business or is there a physical product that has to be sold? It is a tiered e-learning platform. Each level has a price point associated with it and you can make money by selling the courses or you can choose to make money from what you learn on the courses. I´m very interested in this, read a lot of reviews but I still dont know answer on my question which is crucial for me. As a full time student I dont have regular income. I can save some money from my budget so start at the $37 level would not be a problem but if we need to pay for the traffic that will not be good for me. I know we need to drive a traffic to salespage. So the question is can I get some results with Free traffic? Or do I have to pay for that(FB, google ads…) and how it aproximately cost per month? I would love to make just a few hundreds per month at the start so I can upgrade..
You can use free traffic methods. Some of my best leads come from free traffic methods. I dont buy a lot of traffic right now.. That being said there is the $37 per month plus a $17 a month affiliate link cost. It is best if you have Rise, because you only make money on products you own. I hope that answered your question for you. I want to know if can make money in the trial period …atleast 100$?? You can make money in the trial period, but this is not a get rich quick scheme. You should really follow the program as well as get yourself positioned properly before you go crazy. When I started I paid for climber and Rise fairly quickly so I could take advantage of all I could right when I started. Let the coaches help you out, that is what they are there for. Will i get my refferal link in the trail period ?? You can get your referral link at any time. It does cost $17 per month for the referral link though. Very informative article about earning extra money with Digital Altitude. There has been a lot of reviews lately on this product, and you have a more positive take on the product than many of the other reviews that I have read. I think you need to know about marketing before you take on the more expensive packages here, so that you can get others under you and teach them to do the same, or it could become a really expensive process. I think many people shy away from it when they find the price and chose to say it is a scam. The reality is that it teaches you how to market the product as well as how to builds a sustainable business. It really is a spectacular product, that is why it is in my top recommendations. It is not something you want to get involved with if you are “just trying” but if you are serious about building a business then this is the way to go. I have heard about Aspire before and I have actually watched the introduction video of Michael. My feeling about the program is that it is not a scam due to the success of Michael himself. I am right now just doing too many things so I have not looked further into Aspire yet. After reading this review of yours, I have more confidence on trying this out but maybe later on when my schedule is less intense.. Great post btw, very detail. Thanks for sharing man! Thanks for your comment. I really like the system a lot, but you have to be willing to spend some money to make it work properly. If you put in the money into the system you will quickly earn money with it. You need to keep the program fed with advertisements. They show you how to do it though. You are quite right Marc on the length. I hung in for quite awhile. Sorry couldn’t make it to the end. Very interesting post I have seen many of these and like you said, most don’t work. Are you making sales and earning an income yet? It looks like something that could be added in with other affiliate programs. Your page is really good with the flashing signs for a free system. Good work overall. Thanks for the comment. Yes I am earning money from the system and I am very happy with it. I wanted to make sure it was an “Ultimate Guide” so that is why it is so long. Thanks or hanging in there as long as you did and for the comment. Let me know if there is anything else I can help you with. Hi, Marc… Never expect there is really a business in a box. Judging from your much detailed review, seems like this Aspire from Digital Altitude works well. But I’m a bit confused; is this education package includes the real estate property investment training, or just solely focus on building a Internet Business? Great comment and question thank you. It is am education platform that not only sets up a sustainable business and how to run it but shows you how to expand your wealth through investments as your income grows. I hope that answered your question. If not please let me know or send me an email and we can talk more to help. I have been reseaching this product and have a few questions before I jump in. While reading your blog, I see nothing about your first sale or any other info about specific products you represent except Aspire. Can this product pay for its self with commissions when first starting out? I am looking for a new beginning, things with family members health requires my wife or myself to home. She is a big shot at a hospital so I had to leave my job. I need to create a new lifestyle from home and I am clueless of where to plant my first steps. This product is at the top of my list, but I am afraid of getting scammed. I feel it is always important to do all the research you can before purchasing a product. Digital Altitude is not a scam. It does require work though. If you do not put work into it you will not make any money. Sorry it took so long for me to respond, but I had to travel due to a death in the family. That being said, this program does take some money to get started, but you can quickly reclaim that money if you do the work needed. The coaches and even myself can help you do just that. Please feel free to ask me any questions. IF you join under me you will also have access to me on Skype.